With the United Kingdom set to "Brexit" the European Union, globalists in Brussels are on the move to further centralize control. After years of lying and demonizing those who pointed out the end game of so-called trade agreements as “fear-mongers” and “conspiracy theorists,” the European Union superstate has unveiled a formal plan to integrate the armed forces of its formerly sovereign member states into a full-blown EU military. A handful of nations have so far resisted the scheme. But while tone-deaf globalists march onward toward the total obliteration of self-government and the nation-state, even globalism-friendly analysts suspect the peoples of Europe may be on the verge of rising up. The EU military, dubbed a “Defense Union,” could be the straw that breaks the camel's back. As with everything involving the EU's never-ending quest to usurp and centralize all power, top EU officials deliberately tried to make the issue sound as confusing and complicated as possible. 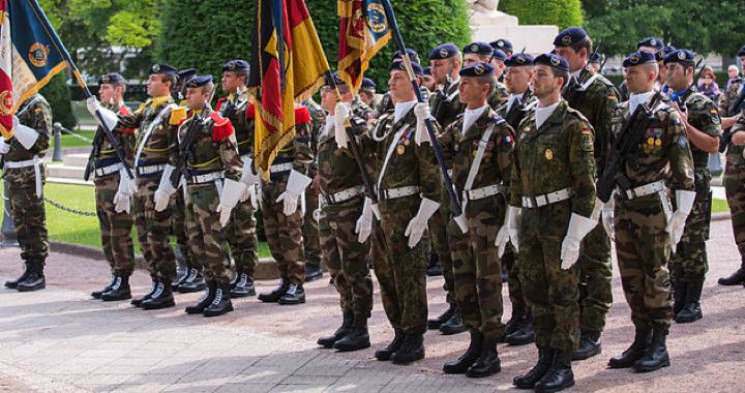 For instance, the scheme to gradually turn over all military forces to self-appointed transnational authorities is being marketed as the “Permanent Structured Cooperation on Defence,” or PESCO. But in plain English, a deal worked out last week will accelerate the process of turning the militaries of the European continent's once-free nations into the coercive arm of a transnational super-state that operates beyond the control of voters or national governments. Welcome to what globalists refer to as the New World Order.